This BlackFox All Points fixed blade is built with a hefty, full-tang blade made from 440C stainless steel in a durable black finish. 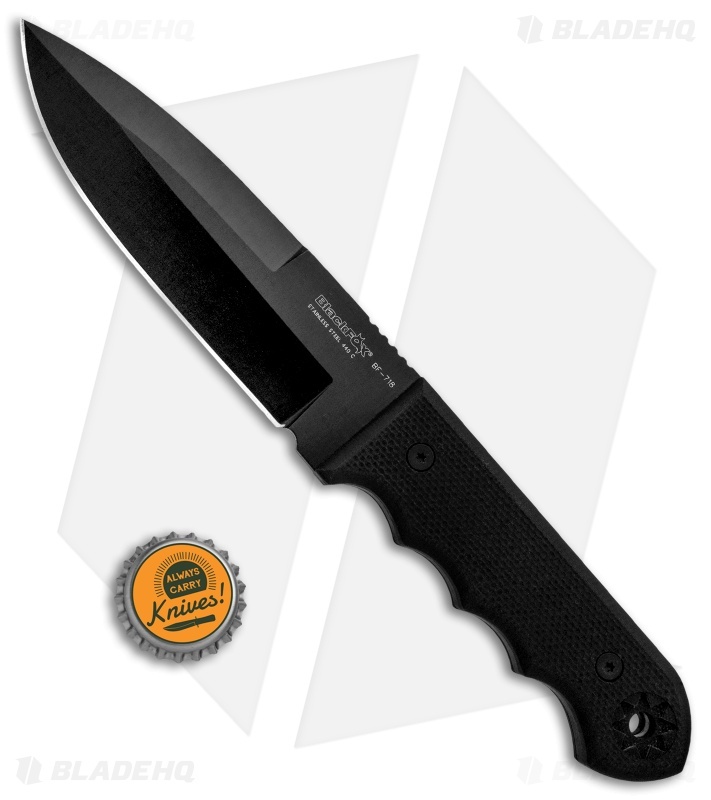 Its handle is outfitted with slabs of textured G-10 and wide finger grooves for a no-slip grip in any weather conditions. 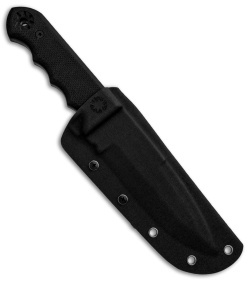 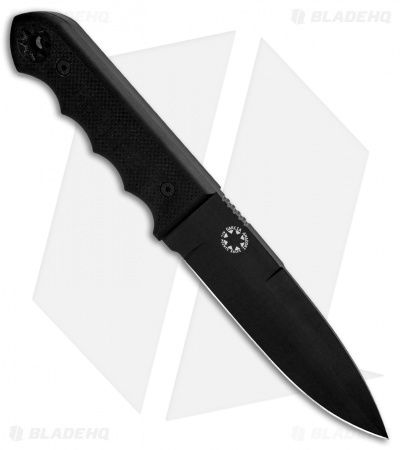 The All Points fixed blade includes a Kydex sheath with a locking belt attachment system.